Methamphetamine or meth is a stimulant drug. 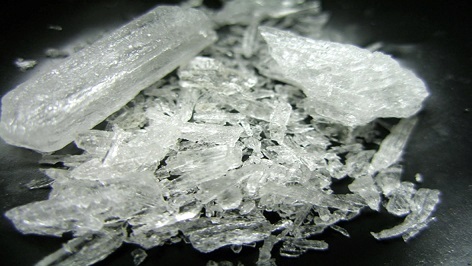 A strong form of this drug is illegally sold on the streets, which is usually in the form of a white crystal-like powder called "crystal meth". This drug can be snorted through the nose, and can be dissolved and injected into a vein. So many misconceptions are associated with the meth use and this leaves people with many questions. Yes, it is possible to overdose on meth. An overdose can be chronic (long-term) or acute (sudden). An acute meth overdose occurs when you take this drug by mistake or when you are not used to it already. The side effects can cause life-threatening complications. However, a chronic meth overdose occurs when you use the drug regularly for a long time. How Much Can be Counted As Overdose? So many factors determine how much meth is considered as overdose. This usually depends on the weight of the user, their natural immunities, overall health, and built-up resistance to meth. What's more, how pure the meth itself is will also play a role here. Currently, the meth available in the streets is up to 60-90% pure. It means the effects of currently available meth are far greater than the effects of previous mixtures. Still, common abuse doses range from 100 mg a day to 1000 mg a day, but chronic binge use can go beyond 5000 mg a day. What Are Symptoms of Meth Overdose? What Are the Complications of Meth Overdose? Can you overdose on meth? Yes, you can, and you can even develop some serious complications. Sometimes, these complications result in serious damage and even death. The complications are mainly due to the way meth affects your central nervous system. It directly affects chemicals in the brain and nerves that are associated with impulse control and hyperactivity. Since meth is habit-forming, it can easily trigger chronic use. This is when it becomes extremely dangerous. You may experience meth intoxication when you ingest excessive amounts of the drug in your body. The purity of meth is usually very high in these situations. The overdose can result in heart problems, hypertension, hyperthermia, irregular heartbeat, and convulsions that can result in death. The overdose can also lead to permanent, stroke-producing damage to the blood vessels in your brain. How to Deal with Meth Overdose? The best thing is to seek medical help when you see someone who has taken high doses of meth. You also need to be very careful when around them, especially if they look extremely paranoid or excited. Try to hold the back of their head if they have a seizure to prevent injury. Turning their head to the side may help in case they throw up. Under no circumstances should you try to stop their legs and arms from shaking. How much drug they have used? How did they take the drug? How long has it been since they used the drug? Can you overdose on meth and what is medical treatment for this condition? In case someone has used excessive amounts of meth, there is no drug available to quickly reverse the effect. The doctor is only going to reduce the severity of symptoms. They may consider giving fluids through an IV and monitor the heart rate constantly. They may also prescribe some medications to ease anxiety and reduce the blood pressure. Sometimes, they may use activated charcoal in case the patient has swallowed meth instead of snorting or smoking it. The recovery depends on how dependent the patient is on meth. Moreover, the severity of the overdose will also play a big role here. Recovery may take longer in case the patient has suffered some anoxic brain injury. Still, occupational therapy, psychotherapy, and speech therapy may offer some help. In case the overdose has affected your heart, your doctor may also recommend lifestyle changes, follow-up care, and medications. Sometimes, you need to be on a low-fat diet and exercise regularly to accelerate recovery and overcome your drug addiction.